"Smart" http://quora.com always recommends the stories I hate to see. So here is my way to toggle the stories display on Chrome and Firefox. Step 2, DONE! 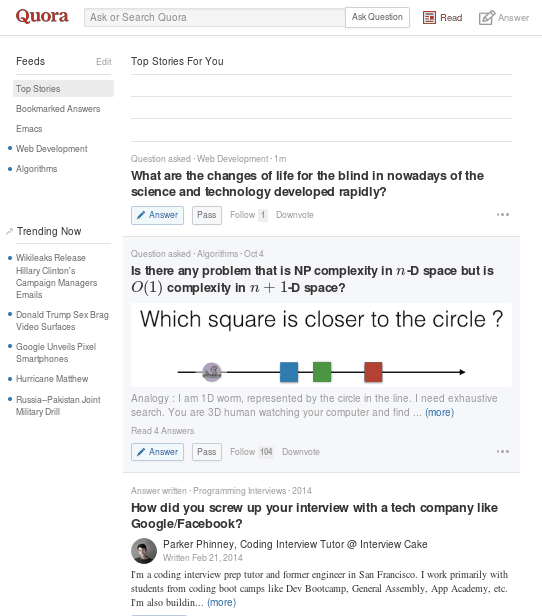 You only need click the bookmark to hide or show the stories when visiting http://quora.com.